Have you made plans this Valentines day? We’ve just released our special Valentines menu to tempt your taste buds, why not combine this with an overnight stay in one of our luxury boutique B&B rooms? We still have a couple of rooms remaining. 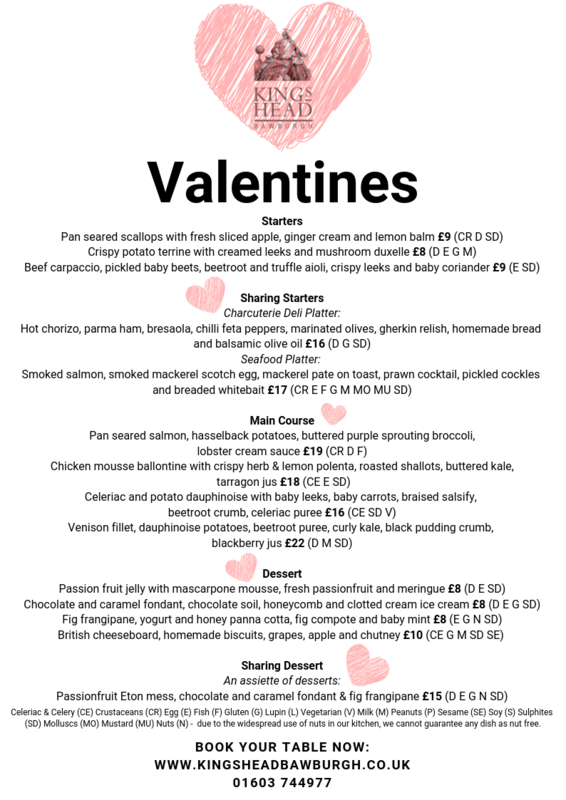 Come and enjoy Valentines at ‘Norfolk dining pub of the year 2019’ as chosen by The Good Pub Guide!